I have an insatiable sweet tooth, and while I should technically feel bad about the entire loaf of Blueberry Streusel Bread I ate over the weekend, I’m taking comfort in the fact that my other latest obsession is this healthy salad recipe. I absolutely love salads that incorporate something cooked, especially since the addition of something warm makes it easier to enjoy a fresh salad in cold weather. 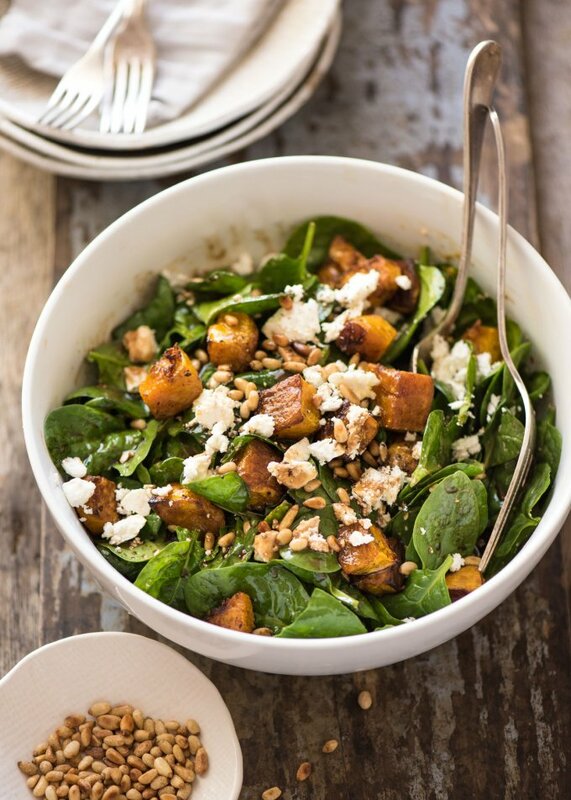 This Roasted Pumpkin Salad with Spinach and Feta from Recipe Tin Eats ticks all the boxes. It’s seasonal, it’s sweet, it’s savory, it’s comfort food, and best of all it’s healthy. 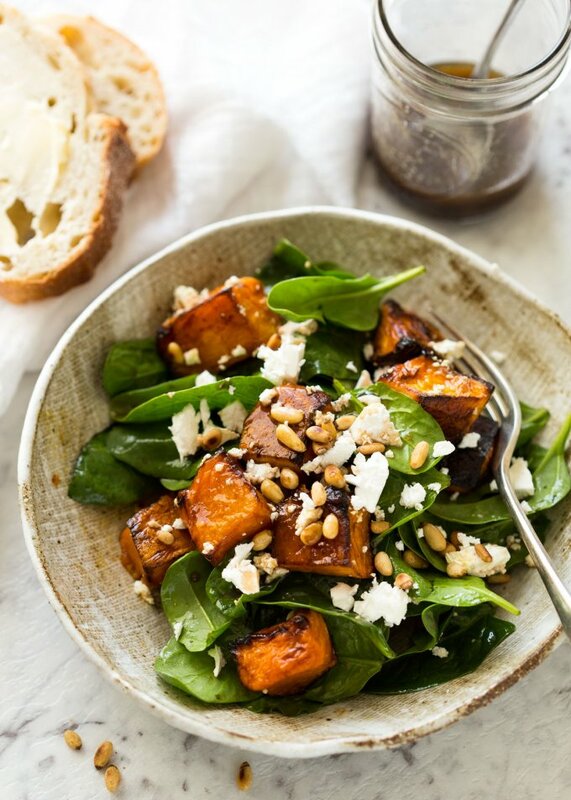 I’ve made this recipe with winter squash, but roasted pumpkin is always the clear winner. When roasted just right, the pumpkin is sweet and juicy without being too mushy (as squash can sometimes be). The feta adds a zing of salty and creamy, while the pine nuts add a nutty crunch. This is the perfect salad recipe for those colder Autumn and Winter days, and makes a great addition to your Thanksgiving menu. Delicious! You must try this!!! Toss pumpkin with olive oil, salt and pepper. Spread on baking tray, bake for 20 minutes. Remove from oven, flip, then bake for a further 7 – 10 minutes until golden but not mushy. Remove from oven and immediately loosen pumpkin with a spatula (pumpkin tends to stick to the backing sheet as it cools). 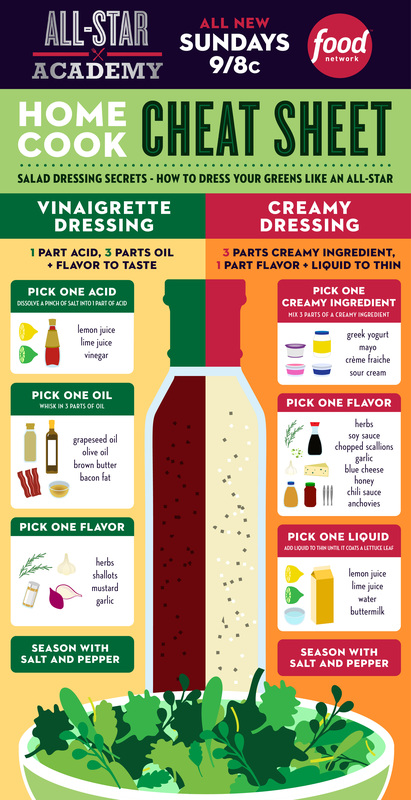 In a small mason jar, combine salad dressing ingredients and shake well. If using pine nuts, toast them in a dry skillet over medium heat until light golden and they smell nutty. Remove them from the skillet as soon as they’re ready and set aside. Place spinach in a bowl, drizzle with a bit of the dressing then toss. 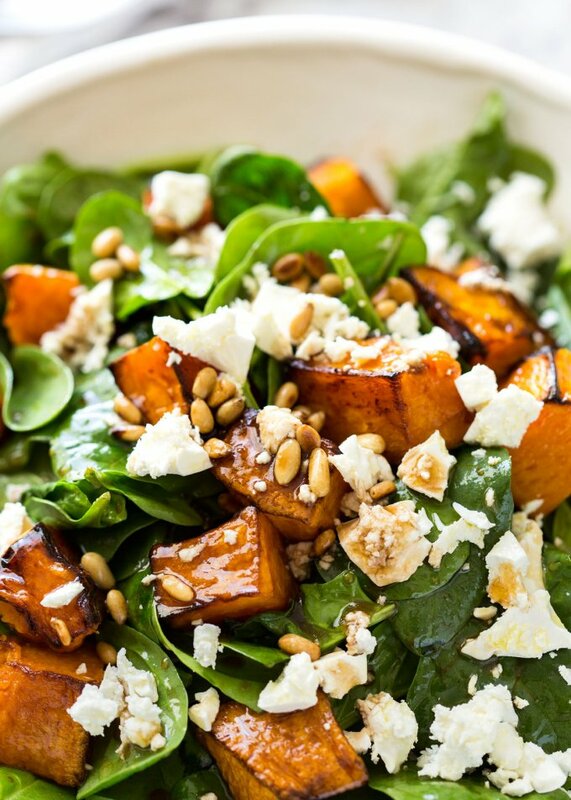 Add pumpkin, just a bit of feta and pine nuts, then gently toss just to disperse the feta. Sprinkle over remaining feta and pine nuts. 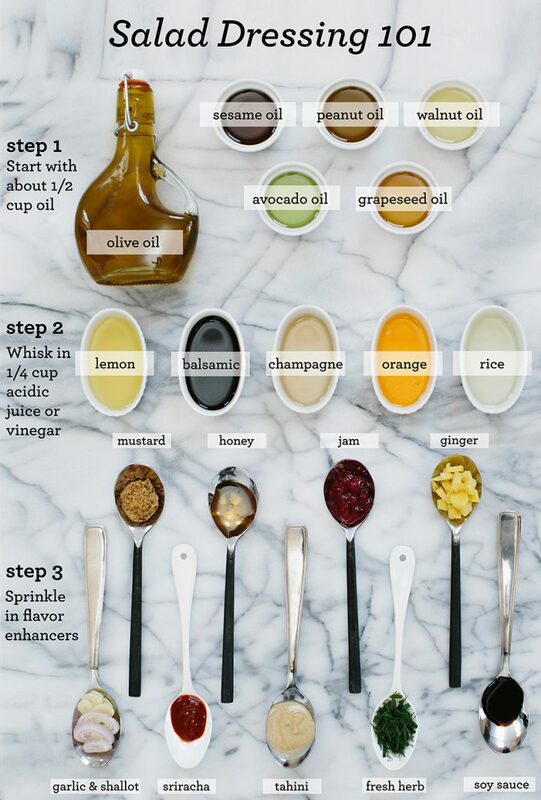 Just before serving, drizzle with remaining dressing. Serve and enjoy!